Is it safe to make a purchase with us online? Yes. For our shopping cart we use a third party company, E-Junkie.com, that utilizes a SSL certified secure site. Also, we don't hold any personal or financial information from you in our shopping cart. Your payment information is only entered at one of our payment merchants, PayPal or 2Checkout. They are two of the largest online payment processors in the world. They use the same online security that banks do. Is your download safe from viruses? Yes. Our shopping cart company E-junkie.com also manages the secure download of our eBook products. 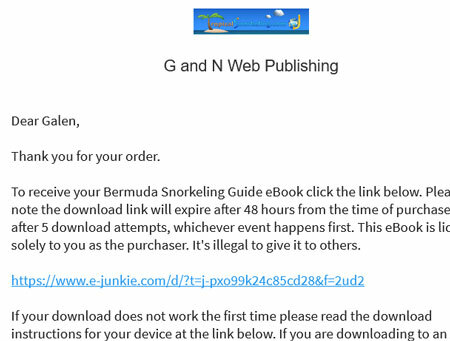 After your purchase you will download your eBook from an encrypted link that will expire. I paid, where do I download my eBook? After you have completed your payment process at PayPal or 2Checkout you need to click on a continue link. If you did not do that, then check your email where you will find a link to the Thank You page on our website that will have the download link to your eBook. Sometimes after payment, on the download Thank You page on our site, you will get a message that Paypal has not yet notified our system of the sale. 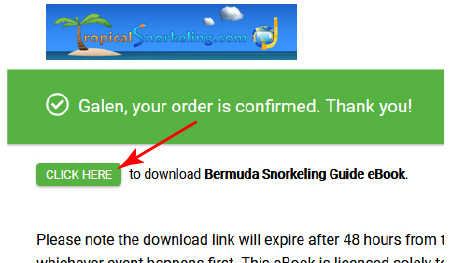 Once they do, you will receive an email with a link to download the eBook. Make sure and read the instructions below to learn how to download or transfer the eBook to different types of portable devices. Pending eCheck payment from PayPal? If you make a payment at PayPal using an eCheck, your check will have to clear before you will be given access to your download link. This may take from several days to a week or longer. After PayPal clears your eCheck, and notifies our shopping cart service, you will receive an email with your download link. On Apple devices if you are having problems make sure and use the Safari web browser. ﻿1. First, if you don't already have one, you need to get a PDF document reader app to read the book. 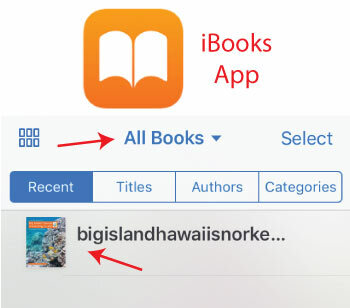 On Apple devices, the iBooks app is normally already installed and works good. With all other devices the ﻿free Adobe Reader﻿ works great with our books. Get the PC & Mac Adobe Reader version here. There is also an Adobe Apple Devices Adobe Reader here if you don't want to use iBooks. Get the Kindle Fire Adobe Reader here. Get the Android Adobe Reader here. 2. Go to the email you received from us and click on the e-junkie.com link. It will take you to a Thank You page on e-junkie's www.fatfreecart.com download site. On Apple devices be sure you are using the Safari web browser. 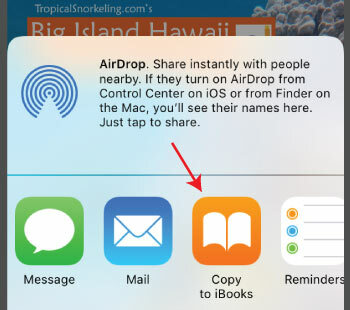 If you are using an app to read your email, copy the link from your email and paste it into the Safari Browser. 3. Click the download link at the top of the page. It sometimes takes a few moments to get to the next page. On some devices you may need to try it twice. 4. On all devices you have to download or save the PDF eBook to your device for reading offline (the download link expires). That is true even if you can see the book in your browser after clicking the link at #3 above. 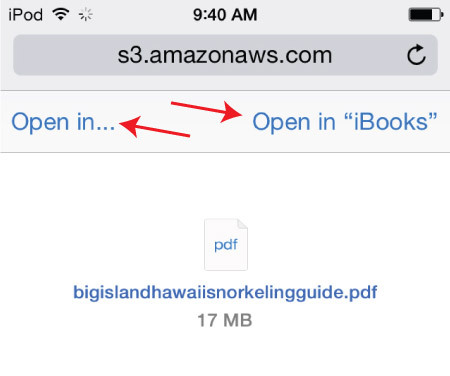 After clicking the download link from #3 above, the PDF eBook will open in the Safari web browser. On the newest version of Safari you need to swipe down on the screen, which will bring up some button options from the bottom. Click on the Share Button (box with up arrow). Then locate the Copy To iBooks button. You may need to swipe to the left to locate the button. Now exit your Safari web browser by hitting the home button. Find your iBooks app and open it. 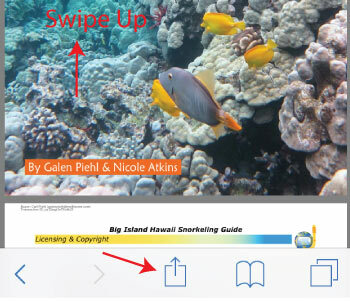 Your eBook should be downloaded and you can read it in the iBooks app offline. You are all done. On older versions of the Safari browser you will need to tap the screen, and two buttons will appear, "Open in" or "Open in iBooks." 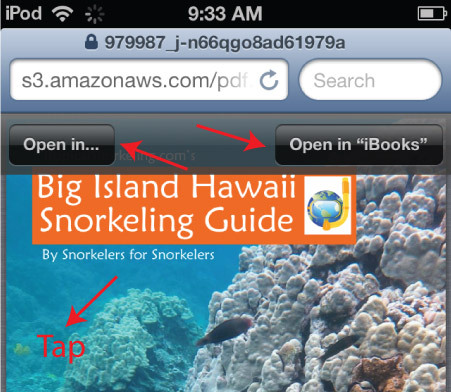 If you wish to use iBooks to read the eBook select "Open in iBooks." For Adobe Reader or another PDF app select the "Open in" and then select your app. On the Chrome browser for Apple devices, you need to tap the screen and a button will appear at the bottom that says Open In. You can then select iBooks, or another PDF reader. With Kindle Fire & Fire HD, first make sure you have downloaded the Adobe Reader app. Then, after clicking the download link and it has finished downloading some options will appear at the bottom of your browser for how to open your PDF. If those options do not appear you can swipe down at the top in your browser and you can click on the download (after it is complete). Do not use the "Books" app to read your PDF. It does not support all of the PDF functions and many of the features and links in the guide will not work. Instead use the Adobe Acrobat Reader App. 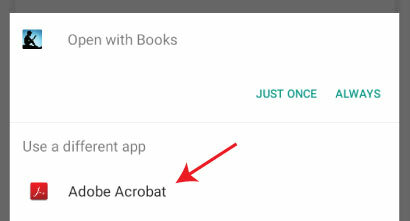 Continue to open the Acrobat app for reading the book in the future offline. Black & White Kindles are not able to download a file directly from the internet. Purchase the eBook on your main computer, and then transfer it to your Kindle (instructions inside the eBook). Read this page on Amazon for details on how to transfer a PDF file to your Kindle. After clicking the download link you can swipe from the top of your screen in the web browser and you can see the download status. After it has completed downloading your device will either save it to a Downloads app, or it will open the PDF automatically with a PDF reader. 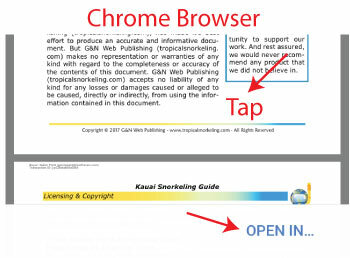 If it does not open automatically exit your browser, find and open your Downloads app, click on the downloaded PDF, and then select what PDF reader you wish to use. For future reading, open that PDF reader to read your book. Transfer eBook to your Apple Device with iTunes? If you have already downloaded the PDF to your main computer you can transfer the eBook to your Apple device from your computer with iTunes. Here are instruction pages from Apple for transferring from a Windows PC and from a Mac. Another method is to download the free Adobe Reader app. In iTunes navigate to "Apps" on your device. In the File Sharing section select Adobe Reader. Then you can just drag and drop the PDF eBook into the "Documents" box, or hit Add and navigate to it on your computer. Sync your device, open Adobe Reader and you will be able to read the eBook. Transfer eBook to another computer, laptop or netbook? The easiest way may be to download the PDF directly to the device, using your download link from your email. You could also transfer the file by using a USB storage device like a portable USB hard drive or flash drive. If both devices have an SD card reader you could also use that. Another great option for transferring files between devices is to use the free service DropBox, or another cloud based service like Apple iCloud, or Google Drive. If you still have trouble please contact us for more help. All devices (except Black & White Kindles) can use Adobe Reader to read our eBooks. Links to download the app can be found above. Apple devices can also use iBooks, see link up the page. There are many other PDF readers available, but they may not allow full functionality of our eBook. On Black & White Kindles you won't see the pictures in color. Also, the navigation links will not work, so you will have to scroll through every page. Our number one policy is that we want you to be happy. So if you are having any problems with our product, or are unsatisfied, just let us know. We will make it right. Yes, you can. Contact us and tell us what is wrong and we will tell you what to do next. Our eBooks are licensed for your personal use only, similar to downloaded music and software. You may not give it to anyone else, or print it out for public use. Every page of the downloaded eBook has your name and transaction number written into the code.